throughout the history of the Earth. rock from within the Earth's crust. 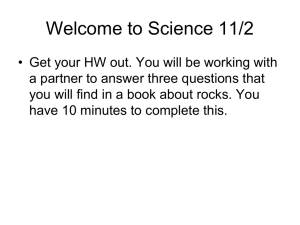 cemented together to form a solid rock called sedimentary rock. exposes rocks to the Earth's surface. 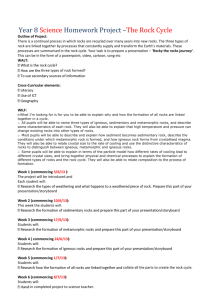 their journey through the rock cycle again. 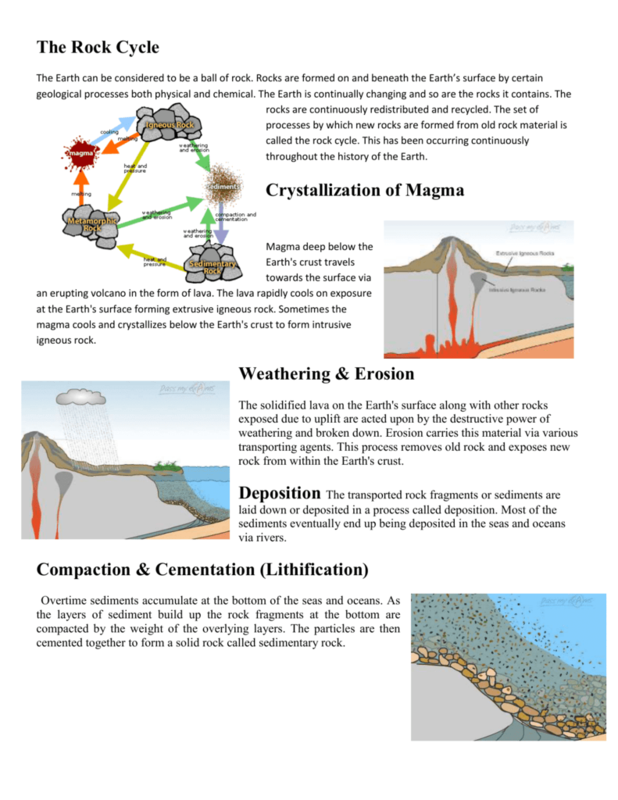 Types of Rock: Rocks are not all the same! 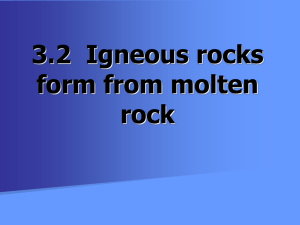 igneous and the differences among them have to do with how they are formed. fragments of material. Together, all these particles are called sediment. usually the only type that contains fossils. Examples of this rock type include conglomerate and limestone. Examples of this rock type include gneiss and marble. the rock during the cooling process, leaving tiny holes and spaces in the rock. Examples of this rock type include basalt and obsidian. 1. 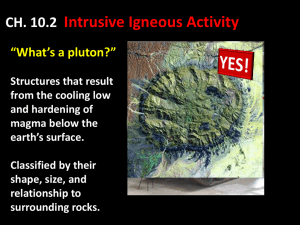 What is the difference between intrusive and extrusive igneous rocks? 2. 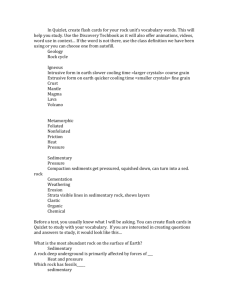 What POWERS the actual rock cycle (where does the energy come from)? 3. 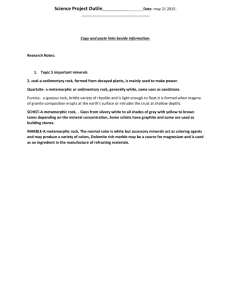 What is the difference between foliated & nonfoliated metamorphic rocks? 4. Which rock texture is formed from slow cooling? 5. 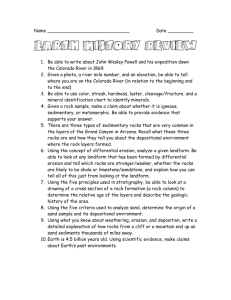 What are sedimentary rocks made out of? 6. 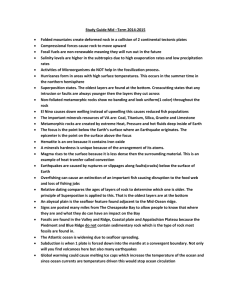 Explain weathering, erosion and deposition. 8. 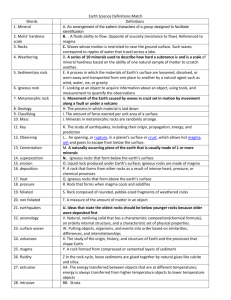 What are metamorphic rocks? 9. Write your own and have partner answer. Write your own and have partner answer.